Is it possible that motivation has been blunted by shareholder advisory firm activism in the Say on Pay voting world in which we now live? It’s sobering to consider the implicit critique being delivered about the state of public-company executive compensation today. After all, most compensation philosophies are built around the objectives of “attracting, retaining, and motivating” key executives. And most companies have implemented short- and long-term incentive programs that, together with other elements of total rewards, are intended to support these three objectives. How could it be that incentive plans are so consistently lacking in “drive, discipline, and speed” that these private equity owners felt required to replace them? Is it possible that the motivation objective has been blunted by shareholder advisory firm activism in the Say on Pay voting world in which we now live? 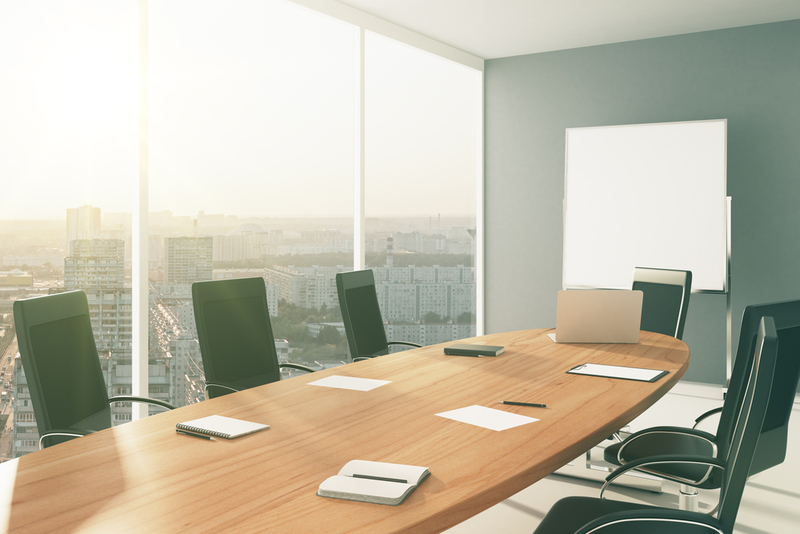 Design and evaluation tools abound in executive compensation today. Probably the first tools developed were compensation surveys to assess the competitiveness of pay programs. Other tools include realizable pay, goal calibration, Monte Carlo analysis, and investor expectations modeling, not to mention Institutional Shareholder Services (ISS) tools such as Relative Degree of Alignment, Multiple of Median, and Pay-TSR Alignment. But no tool exists to help a company consider how much “drive, discipline, and speed” is created by its executive compensation programs or how different design choices may influence these desired motivations. 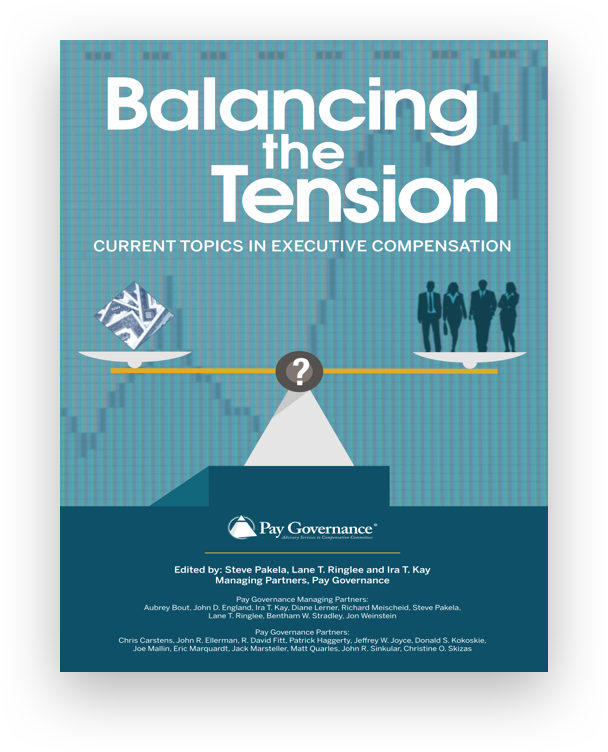 Pay Governance has studied the issue of whether today’s executive compensation programs have varying degrees of “drive, discipline, and speed”, and has created a proprietary Pay Energy© measurement index as an additional design and evaluation tool. Aggregated individual feature assessment results becomes a company’s Pay Energy© score. Pay Energy© is a propriety model that scores individual components of an executive compensation program. By scoring points along a full spectrum of possibilities, an overall indexed score can be obtained from any company’s public disclosures. 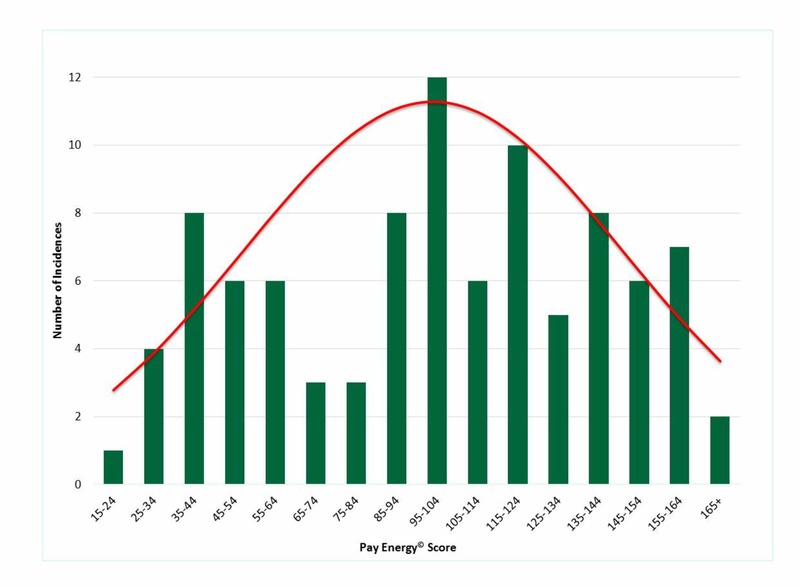 Within these major components of executive compensation, almost 50 separate design elements with up to 7 possible scoring outcomes each are processed by the Pay Energy© model. Indexed scores can range from 0 to 200, with an expectation of a typical score of 100. The Pay Energy© measurement index was developed using decades of executive compensation consulting experience, and verified by conjoint analysis from CHROs and compensation and benefits professionals. Who has more “drive, discipline, and speed”? Using 2014 Compensation Disclosure and Analysis reports for the S&P 100, Pay Governance assessed “drive, discipline, and speed” in pay programs for non-founder CEO pay programs. 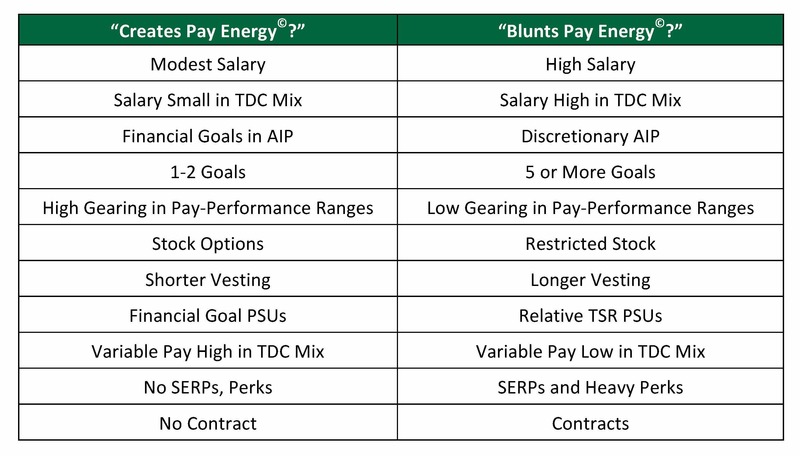 Potentially surprising to the aforementioned private equity firm operating partners, it appears that many companies have managed to retain pay programs that create “drive, discipline, and speed” as measured by Pay Energy©, even in a Say on Pay environment. Other companies have much more modest scores in comparison to others. What’s Your Company’s Pay Energy© Score? Does your company have “high”, “medium”, or “low” Pay Energy© in absolute terms and relative to peers? Does the amount of “drive, discipline, and speed” fit your company’s culture and its espoused compensation philosophy of attracting, retaining, and motivating executive talent? What changes could be made to enhance focused performance, and what impact would such an enhancement have on other pay program design considerations? 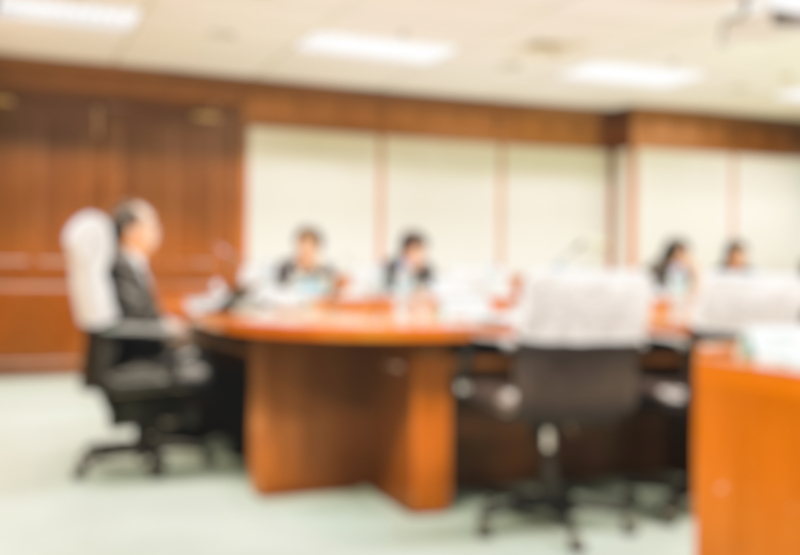 Setting out to only maximize a Pay Energy© score would never be recommended, as many inputs are needed to design a company-specific executive compensation program. However, supporting a sense of urgency by creating “drive, discipline, and speed” in a company’s executive pay program seems critical to the philosophy of “attract, retain, and motivate.” How much Pay Energy© is ideal for your company depends on multiple factors. But it all starts with knowing what the score is and why. We believe Pay Energy© joins other diagnostic tools that should be deployed when designing or assessing executive compensation programs. 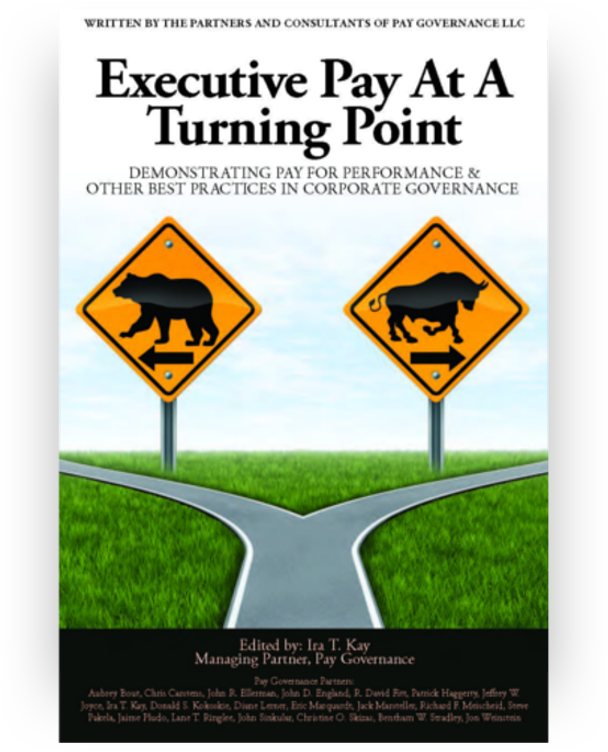 Combined with multiple other forces impacting final design, the degree to which a pay program or specific pay element motivates “drive, discipline, and speed” in delivering results and growing shareholder value should be an important ingredient into final decisions on executive pay program design.